Let's take another look through the many-faceted opus, The Power Broker. 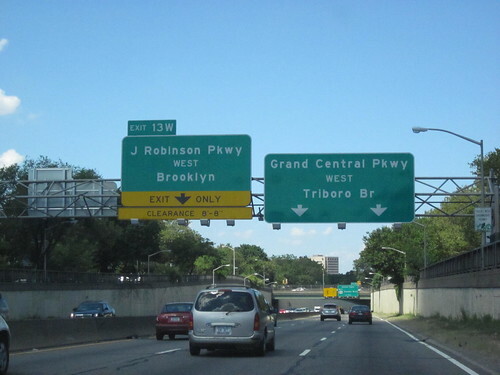 The Grand Central, Interborough, and Laurelton parkways opened early in the summer of 1936 [...] One editorial opined that the new parkways would, by relieving the traffic load on the Southern and Northern State parkways, solve the problem of access to Moses' Long Island parks "for generations." But when they suggested improved mass transit ideas that groups such as the Regional Plan Association had been proposing, they were ignored. 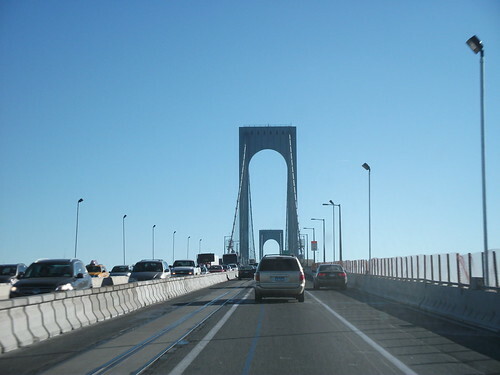 On August 17, 1936, a little more than a month after the Triborough Bridge opened, Long Island's parkways were the scene of what some observers called the greatest traffic tie-up in the history of the metropolitan area. Again, Moses called for more parkways and what would become the Long Island Expressway. And again, the press went along with it. Having observed the problems, the RPA attempted to get provisions for a railroad link included on the proposed Bronx-Whitestone bridge. Moses refused to consider it. At this point the book turns to the Gowanus Parkway, an elevated highway which ripped through the thriving Brooklyn neighborhood of Sunset Park, and destroyed the heart of it on Third Avenue. It replaced the elevated train line of Third Avenue which was supposed to be taken down in favor of the newly constructed Fourth Avenue subway. Instead it was replaced by a massive concrete elevated highway and the four lane avenue beneath was widened into a 10-lane road to carry the trucks which Moses would not allow on his "parkway." The construction of the Gowanus Parkway, laying a concrete slab on top of lively, bustling Third Avenue, buried the avenue in shadow, and when the parkway was completed, the avenue was cast forever in darkness and gloom, and its bustle and life were forever gone. [...] Stores, restaurants and theaters had brought people to Third Avenue. Now half the stores, restaurants and theaters were gone. Ultimately, many motorists going to and from the suburbs at peak rush hours are spending more time stuck in traffic, not less. 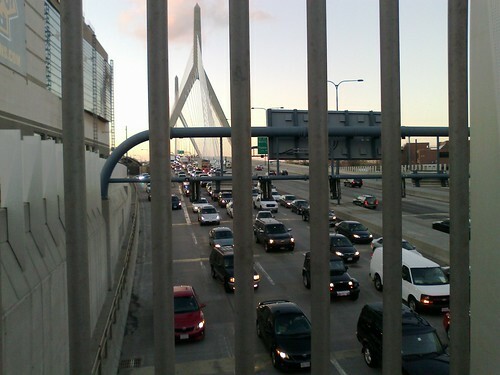 The phenomenon is a result of a surge in drivers crowding onto highways - an ironic byproduct of the Big Dig's success in clearing away downtown traffic jams. But hey, at least downtown's not covered by the Green Monster anymore, right? That's got to be worth something. Not $15 billion though. And not for a highway which should not have been built in the first place. The correct answer would have been to take it down and---at a fraction of the cost---replace it with a more appropriate boulevard having its congestion managed through pricing. 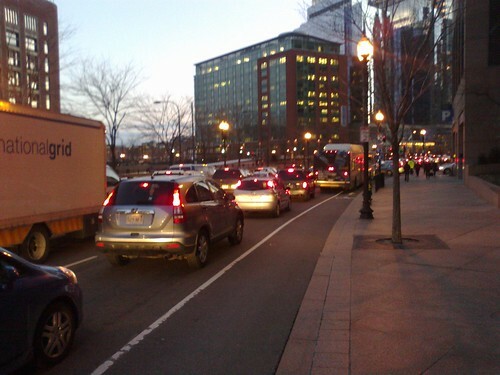 Well, now the money's been spent, and in fact, we got the worst of both options: the above-ground boulevard stinks up the Greenway and the tunnel funnels cars into new chokepoints around the city. Oops. 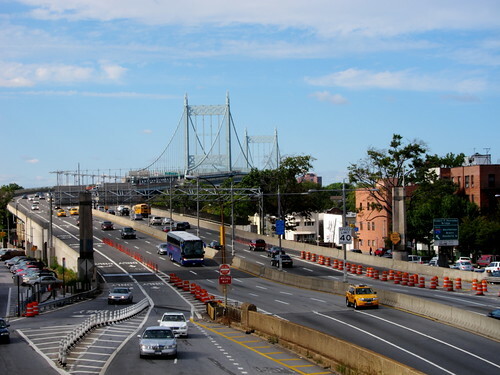 Back in New York State, Governor Cuomo is attempting to force through a new Tappan Zee bridge that---like the Bronx-Whitestone---lacks bus lanes or railroad provisions. He even compared himself to Robert Moses at one point. The opposition is stronger this time, but it's an open question who will prevail. 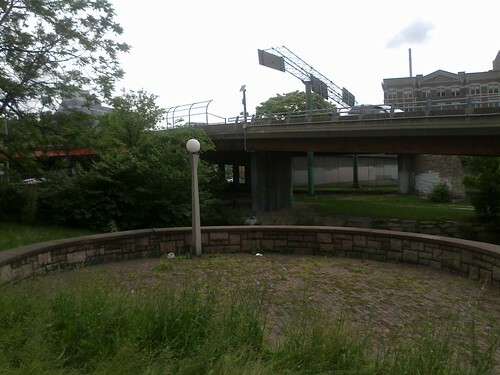 Much of the 1950s automobile infrastructure in Metro Boston is decaying and coming to end-of-life. It could easily cost hundreds of millions, or even billions, of dollars to repair deteriorating tunnels and bridges. With the issue of transportation funding in the air, the fact shouldn't be lost that it is not worthwhile to restore these facilities to their 1950 state. We should not be held hostage to "traffic projections" when history so clearly shows that traffic is induced by the existence of these facilities in the first place. The roads have to be fixed in some way, as in many cases they are beyond repair. We could save a whole lot of money by choosing more appropriate, scaled-down designs which integrate with the city and improve quality of life for residents as well as visitors. As for The Power Broker, there's tons more great material to sort through, I had to pare down quite a lot of excellent prose to keep the length of this post from becoming overwhelming. So I recommend checking it out yourself. Most of the quotes are from the first chapters of Part V, The Love of Power.